Did you know that the area near Fort St Elmo was the red-light district of the day in the 17th century? Or that Maltese women of the same era were recognised abroad due to their tendency to use an excess of perfume, a habit that in those times signalled sexual availability? A series of somewhat spicy anecdotes uncovered by author Thomas Freller and detailed in his new book, The Sword and the Boudoir, reveal that the island of Malta may have been even more of a hotbed of excess than previously thought. And it can all be traced back to the Knights Hospitallers and the customs they brought along with them, as shown by this new publication. Dr Freller is no new name to history aficionados, with several publications about the Knights of Malta under his belt. His interest in the topic can be traced back to the 1990s, when the author finished his PhD thesis about travellers to Malta in early modern times. “Most of these travellers came to Malta because of the Knights. So it was obvious that I had to study their regime. Before that, I had carried out research in Latvia and elsewhere on the Order of the Teutonic Knights and this made things easier to understand the ways of the Knights of Malta to rule and administer a country,” he says. 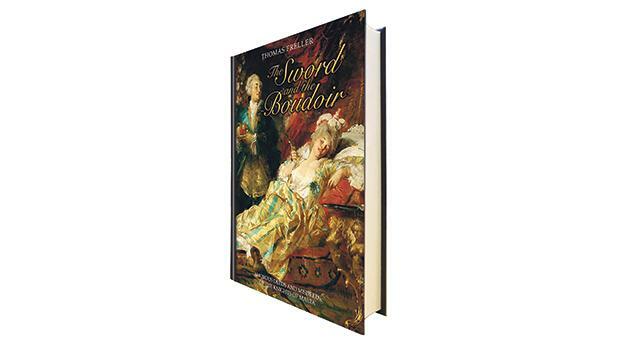 The idea for The Sword and the Boudoir was born after decades of collecting material, at a time when the writer felt that “most of the pieces of the puzzle” where ready to be joined. Among other anecdotes, the book describes how innkeepers were prohibited from accommodating young boys and from allowing young boys and men to sleep together, an obvious precaution to guard from homosexual behaviour. The book does not let off Maltese women of the era lightly, with a former officer in Marshal Turenne’s forces, Jean Du Mont, observing in June 1690 how “the city women wear a fine white smock… the opening is so wide that it leaves their shoulders and breasts exposed to the view of the ravished beholder”. In 1676, an anonymous Genoese cleric accused the better-off Maltese women of being “slaves of their vanity”. But despite the somewhat spicier approach this new book takes when compared to Dr Freller’s previous publications, the publication is as thoroughly researched as its predecessors, with every anecdote documented and proven. The fact that the Knights led a less-than-exemplary life while on the island is today universally accepted. Yet, they continue to capture the imagination of modern day readers. Dr Freller attributes this continued interest from historians and lay people to the nostalgic element and the fact that the Order remains associated with a period of prosperity. “The Knights in Malta brought pomp, glory and visible achievements, although the life of the common people remained hard. But, overall, there were certainly phases of prosperity. This is reflected in the fact that the population rose from circa 20,000 in 1530 to circa 100, 000 in 1798 when the knights had to leave,” he points out.